Mechanic Transmission Jacks | Reliable Hydraulics Inc. When you need to carry out repairs on a wide range of vehicles, it’s crucial that you have the right transmission jack handy. At Reliable Hydraulics Inc., we offer transmission jacks to mechanics in Atlanta, GA, and throughout the nation. We’ll keep your shop well stocked. Transmission jacks work a little differently than your typical jack, which simply raises the axles or the chassis of a vehicle. With transmission jacks, the jack is placed centrally and works to lift the transmissionâ€”this takes the force of the weight so that the transmission can be safely removed from the engine block. There are dozens of different options to choose from. 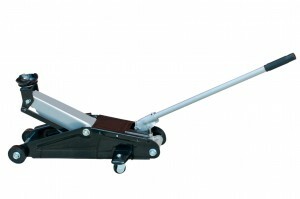 We offer jacks made of durable heavy-duty steel with easy roll casters on ball bearing, and lifting capacities generally range anywhere from 600 lbs. to 4,000 lbs. We’ll help you select the best transmission jack for your auto needs. Georgia mechanics across Atlanta, Kennesaw, Cobb, Marietta, Austell, Acworth, Smyrna, and Powder Springs rely on our high-quality transmission jacks and lubricating equipment to keep their auto shops running efficiently. Find out why mechanics always choose us for their auto needs. Our transmission jacks are available for shipping anywhere in the U.S. Contact us to place your order for transmission jacks today!